Audioboom / City Fidelia, Erin Lowers, Jonathon Shamar on hip-hop at MEGAPHONO! City Fidelia, Erin Lowers, Jonathon Shamar on hip-hop at MEGAPHONO! 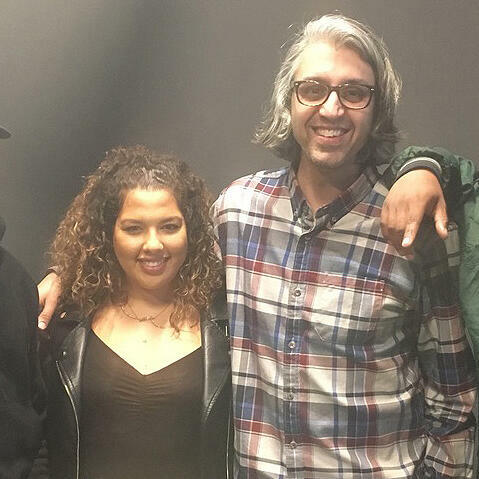 This episode was recorded before a live audience at the Knot Project Space at SAW Video in Ottawa, Ontario during MEGAPHONO on Thursday February 7, 2019 Entitled 'Northern Touch: The Canadian Hip-Hop Landscape & Ottawa's Potential,' this panel featured rapper City Fidelia, journalist Erin Lowers, and artist manager Jonathon Shamar. Produced by Vish Khanna and MEGAPHONO. Sponsored by Pizza Trokadero, the Bookshelf, Planet Bean Coffee, CFRU 93.3 FM, and Grandad's Donuts.